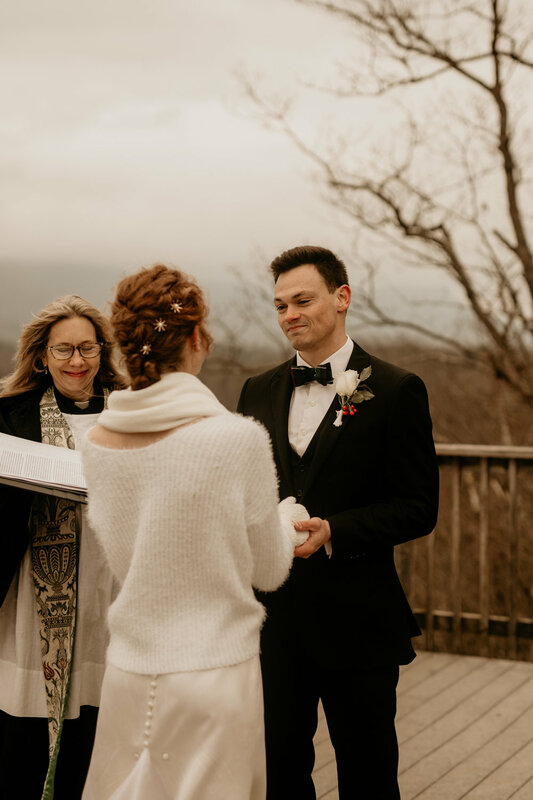 Mackenzie and Chris eloped in Shenandoah state park this January! They knew that they had to get married in January, because their song is “January Wedding” by the Avett Brothers! So sweet! Over a year ago, Mackenzie had an accident. Before the accident, Mackenzie was a strong person. She would run half-marathons or ride 9 hours of her mountain bike, but after, she had to rely on a new strength. After some month of healing, she decided to step out of her comfort zone and sign up for tinder. Almost immediately, Chris reached out to her. They chatted, and, after finding out that they had so much in common, she demanded a face-to-face meeting! 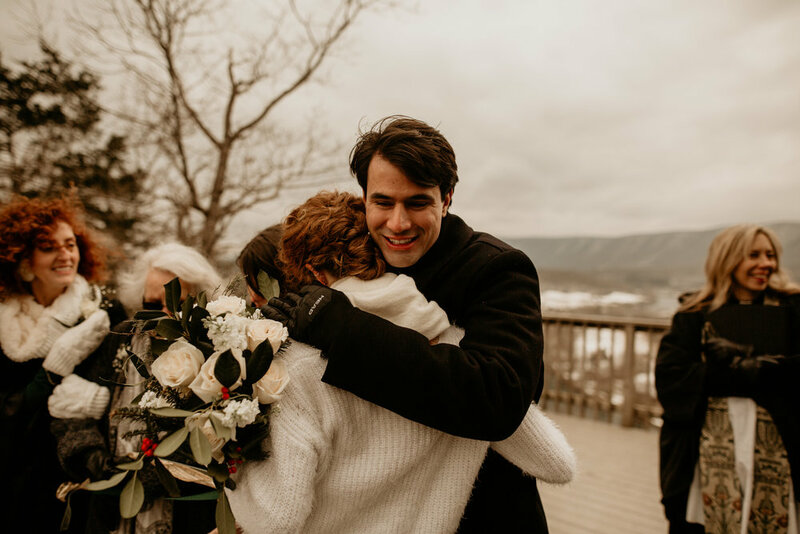 They met up two days before thanksgiving last year, and from the second her eyes met his, she felt a warmth, a security, and a love that she had never known. In December, she let him sweep her away to an Airbnb treehouse, something that should have been triggering and scary for her, but her past experience left her and she felt safe with Chris. A month later, they moved in together, and Chris began taking Benadryl daily because of his severe cat allergy and her three cats. A few months later, Chris began building a ring for her with plans to propose. These guys have such a strong connection that I can only describe as "soulmates". They are so comfortable with each other, and they clearly make each other so so happy. In their year together, they have sampled almost every doughnut in Virginia, climbed mountains in Colorado, and ridden bikes through hail storms. They plan to have many more adventures to come as well! Their wedding was pure emotion. Only family was invited, and Mackenzie and Chris both got ready in their house. Their cats ran up and down the stairs as they both prepared for the ceremony, Mackenzie upstairs and Chris downstairs. Mackenzie's Mom helped her with her dress, and Chris helped her dad tie his bowtie. When we arrived at Shenandoah National park, we were dissapointed to find that the park was closed due to dangerous conditions. Mackenzie quickly came up with a plan B, and we caravanned over to the nearby Shenandoah State Park. 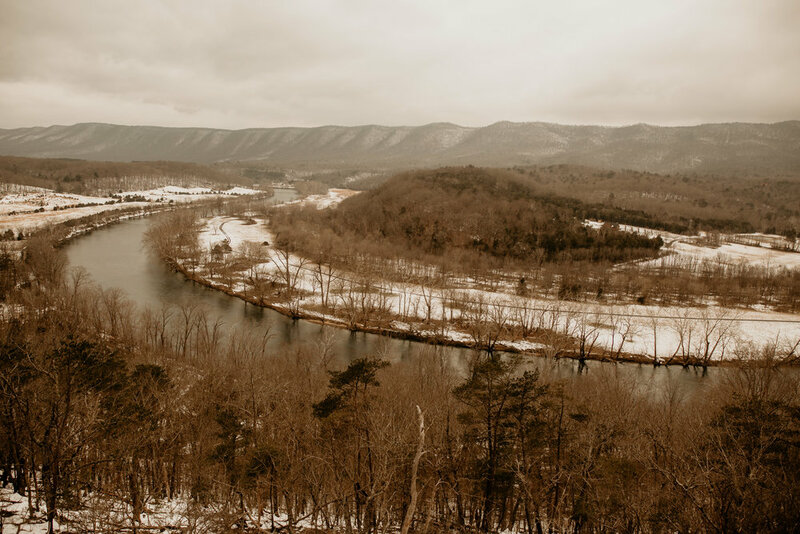 Culler's Overlook was actually so so beautiful, and the perfect place for their elopement ceremony. Mackenzie wrote letters and gave cards to her parents and got tears from both of them before the ceremony. "January Wedding" played as she walked down to the overlook on her dad's arm. This moment also was super emotional, because it was her dad that walked her up and down the hospital hallways so many times when she was recovering. The ceremony was super sweet, and their vows were so heartfelt and touching, and there were tears from everyone. After the ceremony, everyone headed to Mackenzie and Chris's favorite diner for dinner. Such a sweet personal end to an amazing day.